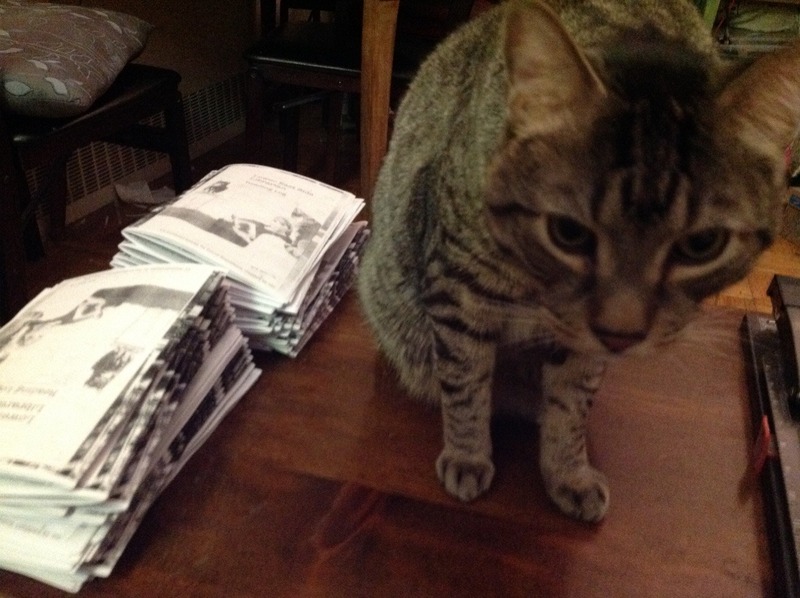 Farfel is this close to kicking my zine copies off the table if I don't pay attention to him. 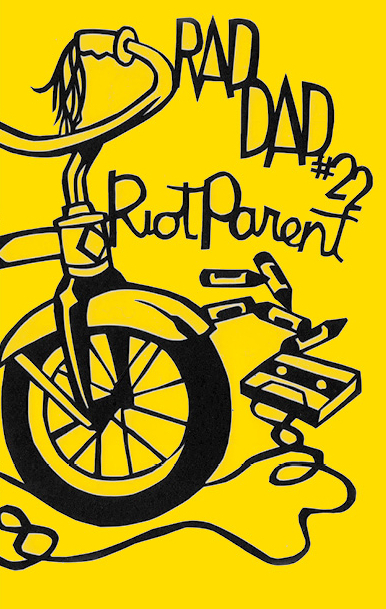 November 14th is your zine librarian's father's birthday, so in his honor, here's a zine cover from a rad dad I know, who happens to publish a zine called...Rad Dad. My dad is, in fact, rad. 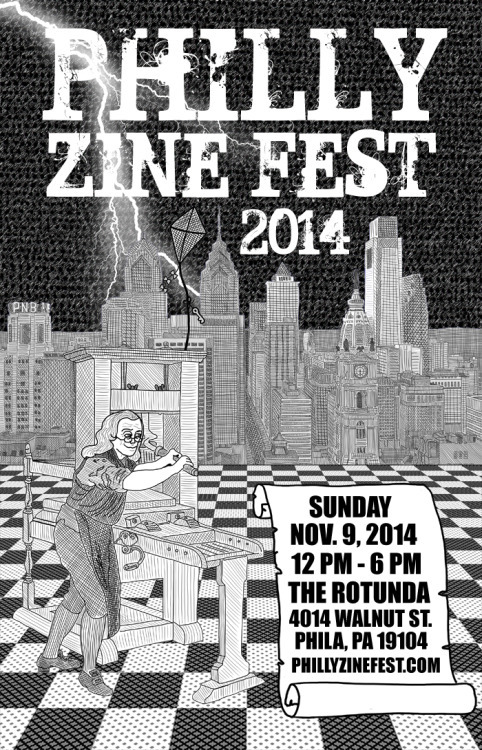 This weekend was the 12th Philly Zine Fest. I didn't go, but I did catalog a bunch of zines. Today I'm cataloging issues of Xerography Debt, donated by the editor, Davida Gypsy Breier, posing below as Tom Selleck. Happy Halloween, everyone! The Barnard College Mortarboard (yearbook) editors in 1897. Pictured: Jessie W. Hughan, Stella Stern, Susan Myers, Louise de Hart, Clara de L. Berg, Ida Wells. Absent: Helen St. Clair. Courtesy of Barnard Digital Collections. Since I'm still cataloging zines I acquired at the Brooklyn Zine Fest in April, here's another photo from it--one of sweetiepie Kerri Radley, from whom I bought some of the zines I added this weekend. 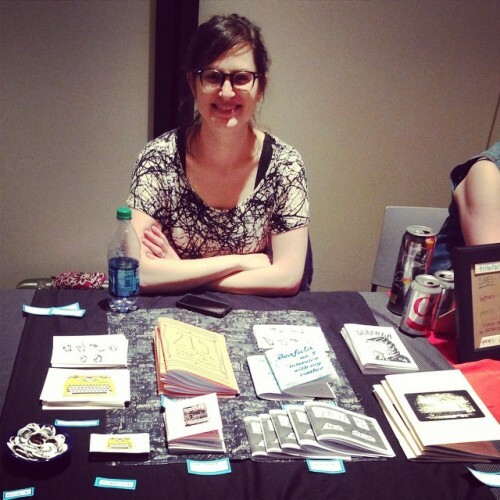 This week--and probably next week too, and maybe the week after: zines purchased at the Brooklyn Zine Fest. Zine assistants Jordan Alam '13 & Juliana Strawn '14, flanked by Jordan's BFF on the left and me on the right at our table. Photo by Kirsten White. Crap photo by me. I didn't see this on the internet and thought it was necessary. The text, for best search results under the entry for Freak. 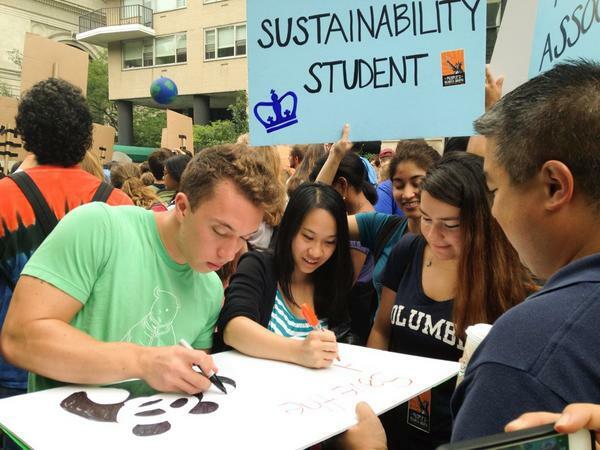 Columbia students making a panda poster for the People's Climate March. Photo from Agustina F. Besada on Twitter. If you're wondering what this photo has to do with zines, zines have anarchopunk politics behind them, lots are about the environment, and climate change effects us all, regardless. Between vacation, conference attendance, picking up a zine collection donation (Thank you, ♥Cheryl Tapper♥!!!) and Labor Day, I cataloged zines only once in August and in September so far. I've been missing my beloveds, so hooray! Zine Librarians (un)Conference zines, accompanied by a disgusting recipe with a note to me on the back.